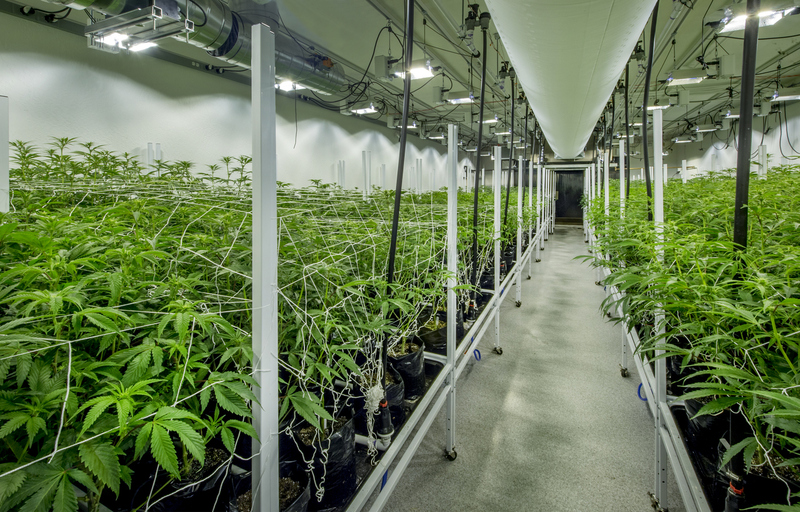 After months of delays, LSU AgCenter’s growing partner GB Sciences of Louisiana was approved today to start full-scale production of medical marijuana, marking a fivefold boost to the company’s growing ability. Prior to this point, GB Sciences had mostly operated out of a temporary space directly outside of its facility while waiting for the Louisiana State Police to deem it “suitable” to start full-scale production. Now, the company can use the entire facility, kickstarting a perpetual growth cycle to meet patient demand for the product. However, a few hurdles remain before products can reach the nine state-designated pharmacies. The Louisiana Department of Agriculture and Forestry, with the assistance of the Department of Health, will inspect the main facility’s manufacturing area on Wednesday, and LDAF must approve any final medicinal products from GB Sciences. Ashley Mullens, LSU AgCenter’s medical marijuana program coordinator, says LDAF has already approved a concentrate—a potent extract from the marijuana plants—and doesn’t expect issues getting the final products approved. Despite the setbacks, Mullens is optimistic they’ll be able to get products to the pharmacies this summer, nearly a year past the originally planned September release. “It’s a positive day, and we’re just ready to get full-scale operations underway and product to pharmacies,” Mullens says, adding that despite the delays, LSU didn’t doubt that GB Sciences would pass the suitability study.